Like many of you, I took a little time out over the weekend to take a close look at the MG6 at the MPH with Top Gear Live Show and, like many of you, I liked what I saw. It’s an inoffensive looking hatchback that should appeal to the die-hard fans who are currently running MG ZSs and ZTs. I think it might even take a few conquest sales. Having a good prod and poke around what I hope is the definitive production version, its interior quality is fair-to-middling and the styling of the car – so bland in pictures – works pretty well in the metal. I’m going to reserve final judgment until I see how much the thing costs – and I reckon that’s a major dilemma for MG.
Make it cheap – and I mean seriously cheap – and people will just assume that it’s a substandard Chinese offering when, in fact, the MG6 has been designed and engineered in the UK to meet the best European standards. Sell it on a more realistic value ticket alongside Ford or Hyundai, and the inevitable comparisons are made – let’s face it, the MG6 is going to have to be mighty to beat the Ford Focus. One thing to emerge from the MPH Show is that potential customers are a hell of a lot more excited by the prospect of the MG ZERO Concept car. Many younger enthusiasts could see themselves behind the wheel of one of these. 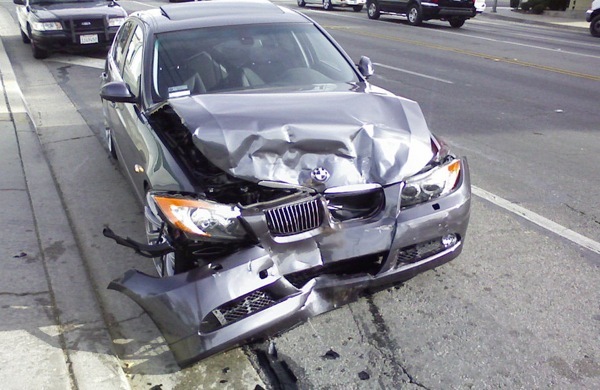 Maybe, then, we’re all getting a little distracted by the MG6 – and the real story is the MG3. Again, we’ll see. However, first impressions are that the product might just be good enough to see a smooth re-introduction of the MG marque paving the way for the potentially more exciting smaller car. 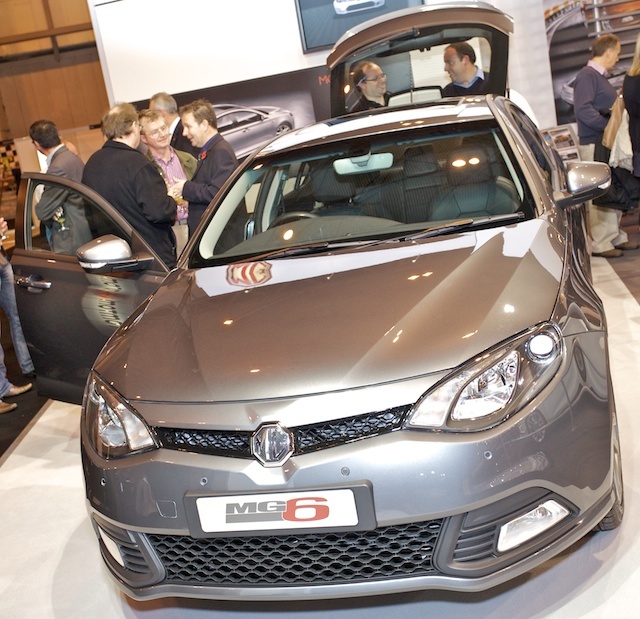 I am very pleased to see the MG6 reported in such a positive light. I hope it does well, though I think sales will be modest and have to build slowly as confidence grows. 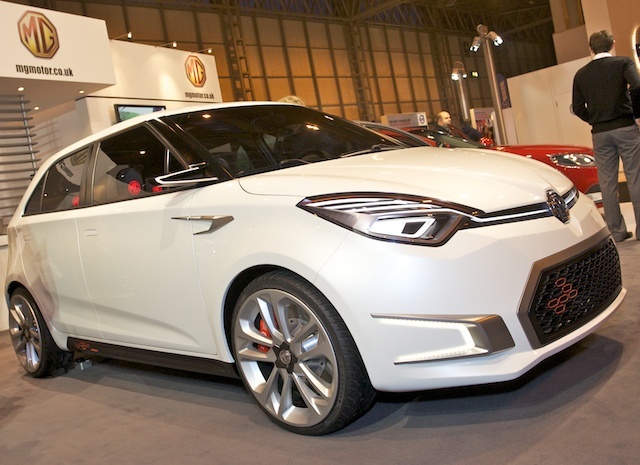 The MG ZERO needs to made ready for the UK market in a major hurry – it has real potential to take on the DS3 etc. I liked the look of the MG6 and the quality was better than I had expected, although some of the interior fabric and trim didn’t look all that hard wearing. Would I buy one? Well, if I was in the market for a new car at, say, £15,000, then I think I would take the plunge as long there is the Dealer Network to back it up. I feel that, if MG is is to be a force in the UK and Europe again, the company should be launching both these cars asap. The longer they are delayed the more difficult it will become to get established again. The pricing needs to be spot on and the Dealer Network needs to ready as well. I am sure that that the British public is already willing MG to achieve the success the brand really deserves. Good luck and best wishes, David Abbott. Anybody seen the new Focus on Auto Express’ website? Suddenly there is a very good reason to go for an MG6!! !